First Aid Course Canberra. Excellent Provider of Training. Free First Aid Manual. Great Trainers. Excellent Location. A twisted ankle waiting to happen. Injuries on the trail are common, be they banalities like blisters or lacerations from overgrown foliage, or serious concerns like dislocated shoulders while rock-climbing or snake bites. Outdoor lovers know the wilderness comes with risk of bodily injury. But those who know best venture boldly into the wild prepared with a knowledge of what to do if harm should befall them. There’s no guarantee that Google will be there to help when gashes, scrapes, or broken bones arise, and medical help isn’t always just a phone call or car ride away. The best medicine for any type of injury is preparedness, so it’s important to know what to keep in your pack for everything from a day hike to a month-long sojourn, plus how to treat common injuries and frequent misconceptions about wilderness first aid. Your first aid kit need not be as big as this. The length and remoteness of your trip—a well-worn day hike trail? unmarked wilderness?—will dictate what you should put in your pack. Climate, altitude, and destination will play a part, too, but chances are, you won’t need bottles of antiseptic and a full splint kit if you’ll only be gone a few hours and the trail is easily accessible from major roads. Likewise, you should bring more than a few adhesive bandages and aspirin if you’ll be away from civilization for a days or weeks. Tod Schimelpfenig, Fellow of the Academy of Wilderness Medicine and curriculum director at the National Outdoor Leadership School (NOLS) Wilderness Medicine department, suggests starting with a small kit. Most of the time, the kind you can get at your local outdoor store will suffice. But if you prefer to build your own kit, he suggests packing a pair of nitrile or latex gloves, antiseptic ointment, bandages, gauze, larger dressings, an Ace wrap, tweezers to remove splinters, and a blister care kit. For longer treks, the kit Schimelpfenig recommends is similar, but more robust. “Safety pins are always helpful,” Schimelpfenig adds. Transparent dressings come in handy, too and for blisters, nothing acts like a protective second skin like kinesthesiology tape. But his number one recommendation: consider what can go wrong and what access you’ll have to medical attention, cell service, or fellow hikers. “Prevention and planning can go a long way,” he says. As for the bulky extras, while some find packing triangle bandages and splint kits bring peace of mind, Schimelpfenig prefers to improvise with items like handkerchiefs and tree branches, things he likely already has in his pack or can easily find on the trail. Ace wrap comes in handy for pains, sprains, and strains that pop up on the trail. The most common injuries in the wilderness are cuts and lacerations. While you might just throw a bandage on it and call it a day when you slice your shin in your own backyard, don’t underestimate how easily a small wound can become infected and cause much larger problems. “Keeping wounds clean is difficult in the wilderness,” Schimelpfenig says. To do so, first, stop the bleeding and evaluate the situation. Is it over a joint, does it gape open, is it showing underlying structures? If so, time to call it a day and get to a doctor. If it’s small and non life-threatening, irrigate the wound with water that’s safe to drink and thoroughly clean out any debris or foreign particles. Add antiseptic and dress it with the appropriate bandage. Change the dressing and check for infection (swelling, redness or pus) every 24-48 hours. For other injuries and accidents, Schimelpfenig recommends taking a wilderness first aid course through NOLS or at a local outdoor center. Proper training will not only teach you how to wrap a twisted ankle, dress a wound, and immobilize broken bones, but also introduce life-saving skills like administering CPR, stopping excessive bleeding, and maintaining an open airway. They also instill confidence and resourcefulness, which are necessities in the backcountry, Schimelpfenig says. Snake bites are rare, but here’s how you to handle the problem if it happens to you. Also did you know that certain weather makes it more likely you’ll be bit by a rattlesnake? There’s nearly as much bad advice regarding wilderness first aid as there is good advice. You need to know the difference. You may have heard that sucking venom out of a snake bite or giving the bite area a mild shock will slow the spread of the poison. Unfortunately, the only remedy for snake bites is anti-venom, so don’t bother with other remedies; the sooner you can get to the hospital, the better. Likewise, tourniquets often get a bad rap for doing more harm than good, but Schimelpfenig says otherwise: it’s a very effective method of stopping life-threatening bleeding. “Tourniquets save lives,” he says. “Limbs are not automatically sacrificed when a tourniquet is applied.” But do reserve the technique for severe bleeding only. If the worse-case scenario should happen, you’ll be glad you packed your satellite phone or personal locator beacon. “The more remote you are, the more training you should have,” Schimelpfenig says. While most outdoorsy individuals can benefit from a 16-hour wilderness first aid course, those venturing far into the woods or the mountains may want to consider something closer to a 40-hour wilderness first aid or 80-hour wilderness first responder course. The longer you’re out there and the farther away from civilization, the longer you’ll have to care for yourself or someone else. The first step involves being able to recognize threats to life, like obstructed airways, breathing problems, cardiac arrest, severe bleeding, or anaphylaxis. Recognize the signs and prioritize those issues so that you can thoughtfully and confidently address the major issue first while also considering secondary injuries that may cause discomfort, but aren’t life-threatening. Lastly, be cognizant of where you’re going and what types of communication might be available or recommended. If you know you won’t have service, is the area where you’re hiking well-traveled? If so, even if you do get injured, there’s a good chance someone will pass by eventually. If not, consider packing a device like a satellite phone or personal locator beacon to call for help if you or a companion need it. With the right training and gear, you can boldly embark upon the wilderness adventures of your dreams and be prepared for just about anything, come hell, high water, or twisted ankle. First Aid Course Canberra. Book today. $95 Special Rate. Excellent Trainers. Emergency Experience. Great Course Location. The moment you see a person drowning is shocking and comes without warning, but without a plan, the impulse to go to their rescue can be deadly. The Royal Life Saving Society of Australia (RLSSA) says there has already been 48 drowning deaths reported this summer compared to 31 at the same time a year ago. In research conducted by the RLSSA, a quarter of the 90 cases it studied involved the death of a person trying to rescue someone else. “We want to applaud the people who attempt to save a life,” said Professor John Pearn, the national medical director at RLSSA. “But the only way to overcome the courageous impulse, often with these fatal results, is with prior training. 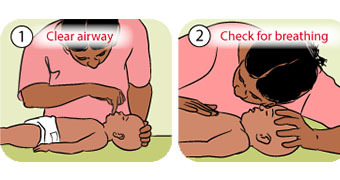 Here are the steps to perform resuscitation on a baby under 12 months. 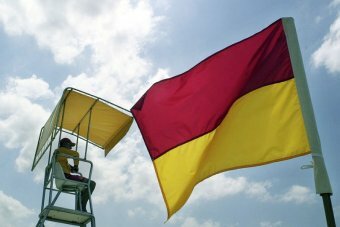 Always swim in a patrolled location and between the red and yellow flags at the beach, Steven Pearce, chief executive of Surf Life Saving NSW, advised. However if you choose not to, Mr Pearce advised to always plan ahead, bring a flotation device (surfboard, boogie board, pool noodle, etc) with you and check that you have mobile phone reception. If you see someone struggling, alert a lifeguard if you are at a patrolled location and then call triple-0. Many bystander fatalities occurred when someone swam to a person in need, became exhausted, and then the panicked victim climbed all over them, Mr Pearce said. He acknowledged that it was hard to advise parents against entering the water if a child was in trouble. “It’s so difficult to tell a parent never save their child — that’s why you need to have a plan,” he said. “You shouldn’t try and effect a rescue yourself unless you have an idea of your own swimming ability or have a flotation device. The RLSSA’s mantra is to shout, reach, wade, throw or row to somebody in the water, be that throwing a tied group of shirts or a hose or reaching out with a rake or lifeline of some sort. If you have a flotation device and have swum to the victim, pass the device between the two of you and tell them to hold on to it. If the victim is a toddler or young child, get them onto the flotation device as quickly as possible. Try and alert others who can help such as a surfer or people on a nearby boat. Once back on land, ensure triple-0 has been contacted and start first aid procedures. If they are breathing, place the person in the recovery position. If they are not breathing, commence CPR. First Aid Course. Action Packed Training Session. Nationally Recognised Training. Experienced Trainers. This is not how Nick Kyrgios would have envisaged spending his Christmas ahead of a busy summer of tennis and a title defence. Nick Kyrgios is set to fly into Queensland to prepare for his Brisbane International title defence after spending Christmas in hospital nursing a spider bite. Organisers said Kyrgios, 23, was on track to arrive in Brisbane on Friday after the tennis star revealed on social media he had a far from festive time during the holidays. World No.35 Kyrgios had to be treated in a Canberra hospital over Christmas after being bitten on the foot. “Got a spider bite on my foot. Christmas different every year,” Kyrgios posted on Instagram. Organisers were confident the hospital visit would not derail Kyrgios’ preparations, saying his Brisbane International plans were still in place. Kyrgios is the eighth seed at the Brisbane International which starts on Sunday. He is hoping to bounce back in 2019 after his ranking slipped from world No.21 to 35. Kyrgios began the year in style by claiming the Brisbane crown in January — his fourth career title — when he defeated American Ryan Harrison in the final. However, it was his only tournament triumph in 2018. He entered 16 events but after his Brisbane win only advanced past the round of 16 four times — none at a grand slam. His frustrating season ended abruptly in October due to a recurring elbow injury, forcing his withdrawal from Moscow’s Kremlin Cup. First Aid Training in Canberra. Excellent Training Facilities. Central Location. Free Parking. Free First Aid Manual. Two teenagers have been rushed to hospital after they were both stung by the deadly Irukandji jellyfish while swimming at Fraser Island. Two teenagers have been rushed to hospital by helicopter after they were stung by deadly Irukandji jellyfish in waters off Fraser Island in Queensland yesterday. A 13-year-old boy and 14-year-old girl were taken to Hervey Bay Hospital by the RACQ Lifeflight helicopter in a stable condition. It’s understood the teens were on a boat with family just off the coast of the island when they were stung. Emergency services were called to their boat off the island’s western coast. Two other people in their group with suspected stings were treated at the scene. Quick turn-around back to Fraser Island for the #RACQ LifeFlight Rescue helicopter. Reports multiple people suffering suspected marine stings. #FraserIsland – Paramedics and emergency services, including the rescue helicopter, are responding to reports of several people from one vessel stung by suspected Irukandji jelly fish in the waters off of Fraser Island. The four victims come a week after three different swimmers were stung by irukandji at Fraser Island in separate incidents. Surf lifesavers swept the waters surrounding the island just before Christmas after a nine-year-old boy was stung however the warm water has caused irukandji populations to explode. Irukandji jellyfish may be elusive during far north Queensland’s big wet but they’re set to come back in big numbers when the sun comes out. 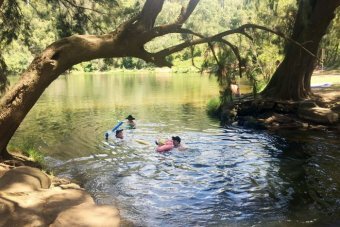 After they forced the closure of two northern Queensland beaches last weekend, including Ellis Beach near Cairns when a teenage girl was hospitalised with stings to her upper body, no irukandji have been spotted in swimming areas since. One of the world’s deadliest creatures, the jellyfish prefer calm, warm waters and tend to stay away during heavy rainfall, with some far north areas receiving up to 200mm since Boxing Day. But the risk of irukandji stings will increase once the rain stops, according to toxicologist Jamie Seymour. “All this rain, it’ll fire all jellyfish up,” Professor Seymour told AAP. “What you tend to find is after you’ve had big rainfall events, like we’re having at the moment, we’ll have large numbers of jellyfish, assuming the weather settles back down. Prof Seymour said Queensland had recorded almost 20 irukandji stings this year, including four off Fraser Island. “It is above average. In Cairns, we’ve had at least seven stings. This time last year, we had one,” he said. “The (stinging) season has become longer. 50 years ago, the season was about a month. “Now, it’s about 5-6 months. Swimmers are advised to wear complete stinger suits before going in the water, especially around the Fraser Island area. First Aid Course Canberra. Excellent Trainers. Free First Aid Manual. Nationally Recognised training. Asthma and Anaphylaxis Childcare First Aid. He was surfing on his own on Sunday morning … something so many Aussies do in their spare time. Except yesterday Joel Mason was attacked by a shark (species as yet unknown), managed to swim to shore, was airlifted to John Hunter Hospital and is now recovering with five deep lacerations to one of his lower legs. Unlucky to be there at that spot at that time, but incredibly lucky that Nambucca Heads surf lifesaver Paul Graham, 38, was not far away and was able to apply a tourniquet to Joel’s leg … something that probably saved his life. Now on a flight overseas, Paul’s mother, Yvonne, said it was indeed fortunate for Joel that Paul was there. “Paul knew exactly what to do and did it – he is very calm in moments like that,” Yvonne said. According to Bowraville Central School’s principal, David Taylor, Joel, who is a sports teacher at the school, texted him this morning: “Guess what! not at work today”. “He seemed in good spirits,” David said. Also thinking of him was Nambucca surfer Richard Ellis, who was attacked in the same spot in 2001. “The first thing I noticed was the helicopter hovering yesterday morning so I knew something was up. “Then we heard Joel had been attacked … he’s a robust, tough guy and a really good surfer … I am really feeling for him today as the reality of the situation bites,” Richard said. “It brings back a whole range of emotions … a sense of relief that it is not me, bizarrely, and also that he is alive – that we are both alive. Richard said he was certainly more cautious now about where and when he surfed. “I never surf if I see fish jumping because the risk is clearly greater if there is food around … but basically the risk is always there and with more people, more interactions are always likely. First Aid Course Canberra. Excellent Trainers. Great Location. Nationally Recognised Training. Free Parking. Free First Aid Manual. A wayward red-bellied black snake brought a new meaning to the word “legless” after the metre-long serpent managed to curl its way inside a wine glass. The venomous reptile was photographed snug inside the glass in Adelaide, sending many wine aficionados into a frenzy. “Glass of red…. belly,” Snake Catchers Adelaide joked, sharing the picture to Facebook yesterday after it was called out to remove the snake. The reptile was seen coiled up tightly inside the glass on a table, beside a bottle of Mollydooker The Boxer Shiraz. “This red belly is almost a metre long, it’s just to show you how small of a space snakes can inhabit,” the reptile expert wrote. One woman who saw the picture joked it was “not quite the full-bodied red” she liked to see on a Sunday afternoon. Many others commended the snake for its fine choice of drop. “We have the snake catchers come to Mollydooker every year for snake awareness training, first time I have seen one in a glass!” one man commented. Red-bellied black snakes are one of the most frequently encountered snakes on the east coast of Australia, and are responsible for a number of bites every year, according to the Australian Museum. They are a shy species and generally do not deliver a serious bite unless severely provoked. First Aid Course Canberra. Book In Now. Christmas Special. Excellent Provider. Great Trainers. Nationally Recognised Certificate. A Perth man owes his life to a group of strangers and an Australian-first technology. A mobile phone app saved Mark Lee’s life after he suffered a heart attack in the city’s CBD. As frantic passersby tried to bring Lee back on Murray Street, Danny Rummukainen– who was entering a meeting just a block away– was alerted to the emergency by his St John First Responder app. “Straight away looked at it, told one of my other supervisors let’s go,” he told 10 News First. The app allows qualified first aiders to sign up as a first responder to receive notifications when someone has called 000 for an ambulance within 500 metres of their current location. It also provides life saving tips and the location of all nearby defibrillators — a feature which Rummukainen used when responding to Lee. According to doctors, the 58-year-old was dead for about 12 minutes before this quick response ahead of an ambulance started his heart again. “[I’m] eternally grateful. I can’t say enough,” an emotional Lee told 10 News First. The first moments after someone suffers a heart attack are critical. Lee was rushed to hospital and put in a coma, but without the speedy response and early intervention of a trained first aider, the outcome may have been very different. “This is life saving technology,” Paul Hogg, the paramedic who attended the scene, said of the app. Since launching in WA in 2017, thousands of trained volunteers have signed up to the St John First Responder app. Similar apps are also in use in New Zealand and the UK. To become a first repsonder, volunteers must have completed a first aid course within the past three years and the minimum qualification level of Provide cardiopulmonary resuscitation. First Aid Training Canberra. Nationally Recognised Training. Experienced Trainers. Excellent North Canberra Location. Free Parking. All learner drivers in NSW should be required to do first-aid training in a bid to reduce the state’s road toll, a parliamentary committee on road safety has been told. Learner drivers should be required to do five hours of first-aid training as part of their 120 hours of driver training, St John Ambulance has proposed in a submission to the Staysafe Committee’s review of road safety issues. Learner drivers should be required to do five hours of first-aid training as part of their 120 hours of driver training, St John Ambulance says. The first-aid training would focus on the three leading causes of death in a road accident by teaching new drivers how to control bleeding, clear airway obstruction and perform CPR, and could save more than 50 lives every year. There have been 376 fatalities on NSW roads in the past 12 months and nearly 11,600 serious injuries in the 12 months to March. Chair of the Staysafe standing committee Greg Aplin said the St John submission is one of 34 it received in response to a call for ideas from the community on ways to improve road safety. “We made this call because we were conscious of stakeholder interest in the issue and we thought this was something unusual we could do in NSW to see the topics emanating from the community,” Mr Aplin said. “There were topics raised that we’re very familiar with, there are always those things that irritate the public like people not keeping to the left in dual carriageways, but two submissions stood out. Mr Aplin said that how much training is needed and whether it is a practical proposal would need to be examined by the government but that the idea has merit. “We believe that saving lives and reducing the impact of injuries is important and we need to look at whether this is a means of achieving that,” he said. St John Ambulance said it already provides first aid training to more than 55,000 people every year and has 3000 volunteers available to roll out the initiative. “The First on Scene training course would be delivered using the latest technology combining both on-line and practical learning techniques to [fully] engage the 16-24 target audience,” the submission states. Mr Aplin said another noteworthy submission, from young driver educator Blue Datto, proposed more targeted campaigns to address local road issues, especially in regional communities. Other submissions called for more local road funding to reduce fatalities, the improvement of crash investigations and changes to the heavy vehicle industry. “One of the things that I personally hope will happen out of this inquiry will be that the government will see the areas of concern and follow those up,” Mr Aplin said. First Aid Training Canberra. Nationally Recognised Training. Free First Aid Manual. Excellent Trainers. Emergency Procedure Specialists. Drones and jet skis will patrol the skies and sea during surf events and surfers will be offered free first aid training under a suite of new shark mitigation measures unveiled on Saturday. Fisheries Minister Dave Kelly announced the measures at Trigg Beach alongside Surfing WA chief executive Mark Lane. Surfing WA CEO Mark Lane with Fisheries Minister Dave Kelly launching their new partnership at Trigg Beach. Under a partnership with Surfing WA the state government will provide two surveillance drones and a jet ski to keep surfers safe during events and will fund the Surfers Rescue 365 program for three years, which will deliver free first aid training tailored to surfers. Four other measures were also revealed including a new scientific advisory panel on sharks, a new Shark Smart app, a refreshed Shark Smart website and improved whale carcass management. The app would provide real-time alerts direct to mobile devices while the website would feature a new shark activity map with details about satellite-linked receiver locations, beach enclosures and surf life saving club locations. It will also launch the $365,000 ‘Sea Sense’ education campaign to notify the public of the strategies. Shark attacks are ingrained in the public consciousness after the Margaret River Pro was sensationally shut down following shark attacks earlier this year. On Monday a 33-year-old was killed while in the Whitsundays. Fisheries Minister Dave Kelly said the new initiatives would bolster the existing shark mitigation strategy, giving ocean users more information, more choice and more assistance. “Starting tomorrow, we also have a new campaign to help Western Australians develop their Sea Sense and stay safe,” he said. 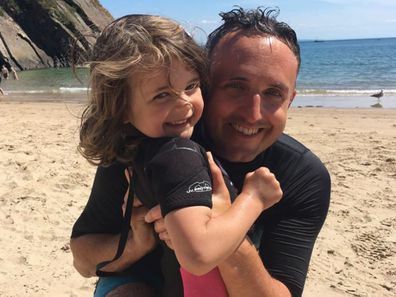 “It can be the simple things that can keep us all safe, like checking the SharkSmart website for shark activity, finding your nearest patrolled beach, or buying a scientifically proven personal shark deterrent if you’re a surfer or diver. “Usage of the SharkSmart website is lower than we’d like and therefore it is really important Western Australians know they have the tools to make information choices. Mr Lane said the measures were a step in the right direction. “Is there more that should be or could be done? Yes to both of those but the fact is these initiatives are really the most that ever has been done in this space historically,” he said. A SMART drumline trial will start off Gracetown in 2019. Mr Lane welcomed the trial. “The fact that the government is going to come up with an evidence based approach, it will answer whether it works or not and will put that argument to bed,” he said.